So, as you’ll be able to tell, we’re making a large amount of headway in the Department Formerly Known as ICT. We’ve gotten ahead of ourselves and are now ready to offer access to the API for our Tribe system. In case you weren’t aware, Tribe’s the space where members of Collectives collaborate on their registered projects. If you haven’t used it yet, log into our site and nose around – it’s a growing community space where dreams are hatched and shared. So, if you’ve got brilliant ideas for an AfrikaBurn App, a way to personalise the map, or you want to customise a WTF guide, then we’ve got good news for you! As we don’t want to publish Collectives’ amazing projects in advance, the data we have available for testing is the AfrikaBurn 2018 data, until 21 April 2018. 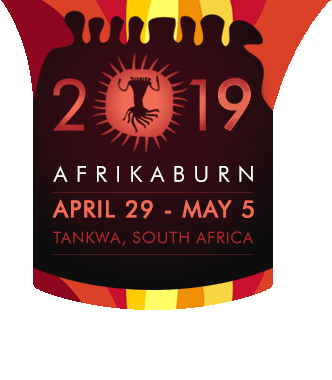 If you need to test with this year’s data or need access to AfrikaBurn 2019’s data early, you will need to request it from the [email protected] and enter an agreement to not publish early. NB: As with all AfrikaBurn content, this API is limited to noncommercial and marketing free apps only. Locations data from artwork and Theme Camp placement happens in March each year, so the data is only available from early April. This is linked to town planning, and can’t be moved earlier, which is also part of the reason we’re releasing historic data for you to test with. Though we do our best to make sure the data is correct, we can not guarantee things play out exactly the way we plan. As there is no public internet connection on site, we can not guarantee that you will have live access to content (though we’d love to make a plan around this, and welcome any volunteers that would be available to assist with it). We also have an open mesh network on site that you can utilise to extend your concept, see here for more details. We plan to begin experimenting with a DNS server in January, but if you are experienced with the technical aspects of a DNS server, your help would be greatly appreciated. Ultimately, if the DNS server is up and running you would also be able to build web-based apps that would not require that they are installed through the App Stores before arriving in the desert. Current HTML5 should allow you access to all the phone features like GPS, compass, motion sensors, etc. NB: if you want your app listed in the WTF guide, you will need to register it as a Binnekring Event on the Tribe website. The communications team is also more than happy to push your app if you alert them to it. In addition, there are grants available for tech projects, which can also be applied for here. Please mail [email protected] to start the grant process. The collective’s name that registered the project. One collective can have multiple projects. Planned events times, from check list. Associate projects, and how they are associate. unique id of associated projects if registered. Is this project planing on burning? Proposed burn time. Very likely to change on the day. Is this project planning on using sound. How loud do they plan on being. Type: decimal up to 7 points. Feel free to contact the team on [email protected] with any queries. We’re here to help and enable you.